Brazil and the USA: What Do We Have in Common? Following a stint in the Peace Corps in Tunisia she has a love affair, despite her misgivings, with Sérgio, a Brazilian diplomat who overwhelms her with his high culture, charm and intelligence. In a fit of jealous rage Sérgio brings the affair to the bad end that her father and some of her friends had predicted. Kate arranges an assignment to write a travel article on Sérgio’s hometown, Rio de Janeiro, hoping to understand both his jealousy and her vulnerability to him. 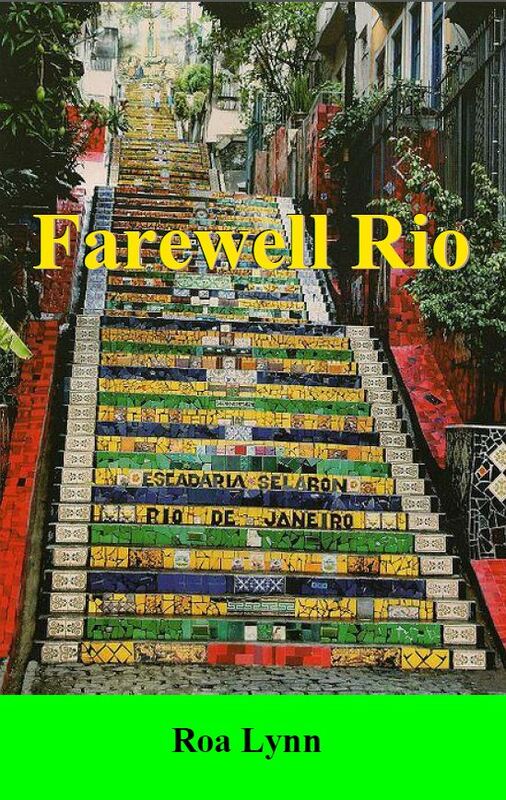 In Rio Kate moves among hippies, artists, musicians and millionaires. She falls in love with the city as Brazil is descending into 15 years of repression by a military dictatorship that will imprison and torture hundreds of Brazilians. She also falls in love with John, a Canadian journalist who, impressed by her writing, hires her as a novice reporter for an international wire service. She covers the growing violent conflict between the military regime and its opponents. Everything she experiences becomes grist for her poems. John has a clandestine past. As he cautiously reveals his secrets Kate surprises herself by reacting with envy as well as dismay. She is fulfilling her dream of living on the front lines and is drawn to the audacious life John has led, but she is not prepared for the terrible loss she will suffer as the price for her adventures. The background political events of this story were formative for many of Brazil’s current leaders, including Brazil’s first woman president, Dilma Rousseff, elected in October 2010. Like the novel’s character Anabela, President Rousseff was arrested and tortured by the military government. Available in paperback from amazon.com ($10.99). Available as an Amazon Kindle e-book ($2.99). Available in paperback and as a Nook e-book from BarnesAndNoble.com. Versions for other e-readers, such as PC, Sony and Nook, are available here ($2.99). Sample pages (about 10% of the book) can be viewed free of charge at each of these sites. Why has this blog gone quiet? Nobel prize winner expresses concerns about Brazilian real estate market bubble.